Walt Disney Animation Studios revealed plans today for Moana, a sweeping, CG-animated comedy-adventure about a spirited teenager on an impossible mission to fulfill her ancestors' quest. In theaters in late 2016, the film is directed by the renowned filmmaking team of Ron Clements and John Musker (The Little Mermaid, The Princess and the Frog, Aladdin). "John and I have partnered on so many films - from The Little Mermaid to Aladdin to The Princess and the Frog. Creating Moana is one of the great thrills of our career. It's a big adventure set in this beautiful world of Oceania." Here's what John Musker had to say in his statement about the title character. "Moana is indomitable, passionate and a dreamer with a unique connection to the ocean itself. She's the kind of character we all root for, and we can't wait to introduce her to audiences." 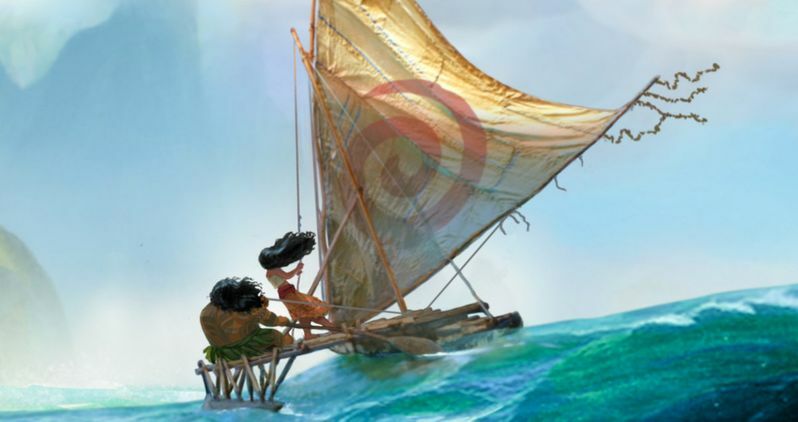 Take a look at the first artwork for Moana below.